Watch this. Now. TIE Fighter is a short animation by Paul Johnson that shows a bit of Star Wars from the perspective of the Empire. 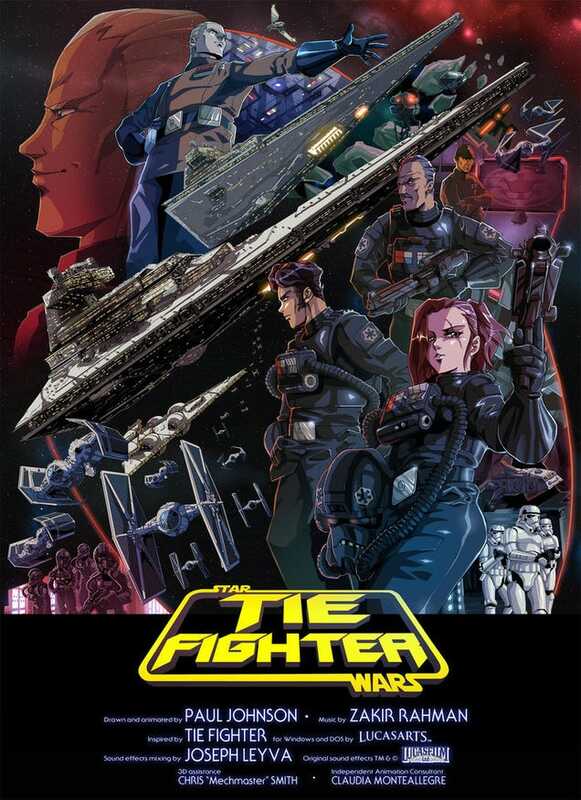 It's done in the style of anime from the 80's and shows an aerial fight scene between TIE fighters and X-wings and is so awesome that Disney should make this an entire movie.